On Monday, federal judges in Richmond, Virginia, from the 4th U.S. Circuit Court of Appeals, heard testimony regarding the Trump administration’s travel ban that targeted Muslim-majority countries. The American Civil Liberties Union (ACLU) argued that the travel ban was unconstitutional based on its profiling of Muslims. Asian Americans Advancing Justice led “Resistance Rally” in Richmond, and was joined by other Asian American and Pacific Islander (AAPI) advocacy organizations. Learn more about the latest news on the travel ban. All week long, advocates have been participating in the #NoMuslimBanEver National Week of Resistance and #AAPIsResist Month of Action. Find out ways you can get involved and check out the Storify from #AAPIsResist & #NoMuslimBanEver Twitter Town Hall. Former acting Attorney General Sally Yates testified in the in front of the Senate Judiciary Committee regarding Russia interference. During her testimony, she defended her refusal to enforce the travel ban. This week, Texas passed Senate Bill 4, which bans “sanctuary” for immigrants in Texas cities, counties, and universities. The bill will go in effect in September and allows local and state law enforcement to question individuals about their immigration status. Opponents to the bill highlight are concerned SB4 will intimidate immigrants and decrease the likelihood of immigrants who are victims of crime to report incidents for fear of questioning or deportation. The law not only would further distrust between local law enforcement and immigrants, it also applies to any “official,” including district and city attorneys, police on college campuses, city council members, and other city officials. Learn more about the Texas law here. American Civil Liberties Union (ACLU) and local affiliates released a “travel alert” warning travelers in Texas that they may have their civil liberties violated when visiting Texas. Read statements from national civil rights leaders and legal experts against Texas SB4. This week, Bureau Director John H. Thompson announced his retirement from the Census Bureau effective June 30th. The Census Bureau is currently preparing for the 2020 Census—which requires research and planning on data collection and reporting, as well as funding. Recent reports have highlighted what is considered a “crisis” in funding for the census, which is underfunded and facing increase costs due to new electronic data collection systems. Gaps in leadership could further complicate progress and preparation for the 2020 Census. Accurate data collection is a critical component of racial justice, as robust and nuanced data on Asian Americans and Pacific Islanders is limited. Civil rights organizations have weighed in on the lack of funding for the 2020 Census. 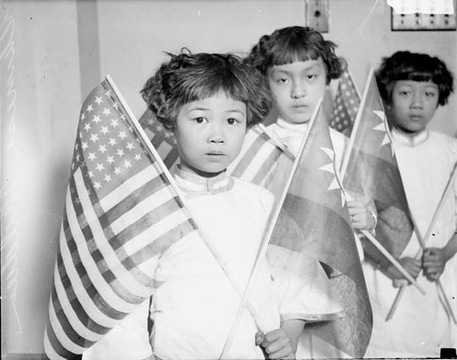 On May 6th, AAPI groups observed the 135th anniversary of the Chinese Exclusion Act. In 1882, President Chester A. Arthur signed the Chinese Exclusion Act into law. The Chinese Exclusion Act was the only law in US history to explicitly exclude an ethnic group from entry into the country. The Act remained in effect until 1943, and prohibited Chinese immigrants and their descendants who did arrive in the US from becoming citizens. It was not until 2012 that Congress put forth a resolution formally expressing regret for the Chinese Exclusion Act. Read the Congressional Asian Pacific American Caucus’s statement marking the 135th anniversary of the Chinese Exclusion Act. Learn more about nationwide recognition of the Chinese Exclusion Act with NAPAWF ally OCA-National. 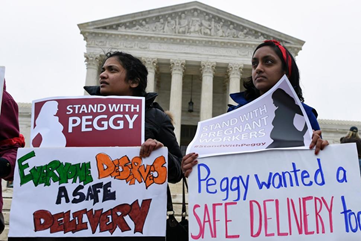 On Thursday, Senator Bob Casey (D-PA), Sen. Jeanne Shaheen (D-NH), and Sen. Dean Heller (R-NV) joined Rep. Jerrold Nadler (D-NY) and Rep. Mike Coffman (R-CO) to reintroduce the Pregnant Workers Fairness Act. The legislation would address pregnancy discrimination in the workforce by ensuring employers provide reasonable accommodations for pregnant and protections against retaliation, intimidation, or threat against pregnant workers. Learn more about the Pregnant Workers Fairness Act and why it is important. May is Asian Pacific American Heritage Month! Find out about upcoming Asian Pacific American Heritage Month events here. Learn more about OUR POWER: AAPI resilience through art! On May 15, Judges of the Ninth Circuit Court of Appeals in Seattle, Washington, will hear oral arguments in the case of State of Hawaii, et al. v. Trump. #AAPIsResist Month of Action continues. Find out more ways to get involved here and join NAPAWF on May 18 for a Twitter Town Hall at 3pm on Asian American and Pacific Islanders beyond the movement.